While there’s some debate about when self-driving cars will become commonplace – and precisely how they’ll be used by consumers – it’s fair to say that self-driving vehicles are coming. When they arrive, they will likely cause changes across society. If the most optimistic projections for self-driving cars are correct, the cost of operating a self-driving car will be even lower than the cost of vehicle ownership today. If that’s the case, it’s likely that we’ll see an overall increase in the number of vehicles on the road. This is called “the Jevons effect,” and it’s been seen in history numerous times. Essentially, the Jevons effect is that consumption increases as prices decrease. If using a vehicle becomes less expensive, people will use their vehicle more often…which would probably mean more vehicles on the road (and in the repair shop). If consumers can spend their time in a self-driving vehicle reading, sleeping, working, watching a movie, etc., why wouldn’t they use it for long trips? Instead of dealing with a commercial flight, consumers can get in their self-driving vehicle, enter a destination, and then read a book. It might take a few more hours to drive than it would to fly, but that’s not a big loss if that ‘extra’ travel time can be spent productively. Not to mention, when you arrive at your destination, you have your vehicle (with all your stuff) at your disposal. No more messing around with airports, rental cars, etc. 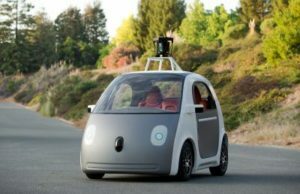 If self-driving vehicles are convenient, safe, and affordable, that can only be good news for the repair industry. Consumers will drive more vehicles more often, leading to more maintenance and repair work. Here’s to our self-driving future!